Advantage Miami provides you and your clients/customers with trends and data – economic, demographic, financial, and more, needed to do business in Miami-Dade County and around the world. This year’s magazine features new charts, infographics, and lists to help readers better understand Miami’s most important business advantages. (Miami, FL – Dec. 16, 2016) – Miami-Dade’s unemployment rate dropped to 5 percent, the lowest rate since the recession, and payroll jobs reached a historical high of 1.16 million employed, according to statistics released Friday. Miami-Dade County created 18,000 new nonagricultural payroll jobs (not seasonally adjusted), from November 2015 to November 2016 which was a 1.6 percent increase. Miami-Dade County continues to show year over year gains. Improvements in the non-farm payroll jobs can be found in a variety of sectors. Between October 2016 and November 2016, Miami-Dade County increased nonagricultural payroll jobs by 14,900 or a 1.3 percent increase. The nonagricultural payroll jobs reach a historical high at 1,163,700 people employed. The not seasonally adjusted unemployment rate for Miami- Dade County was 5.0 in November 2016, which was a 0.6 percentage point decrease from November 2015 at 5.6 percent. The unemployment rate declined 0.3 percent between October 2016 and November 2016. The November 2016 unemployment rate of 5.0 percent was the lowest rate since the Great Recession began. The last time the unemployment rate was near 5.0 percent was in June 2008 when the unemployment rate was 4.9 percent. In November 2016, the seasonally adjusted unemployment rate for Miami-Dade County (taking seasonal fluctuations in the labor force into consideration) was 5.4 percent, which is 0.1 percentage points higher than October 2016 at 5.3 percent, and a 0.7 percentage point decrease from November 2015 at 6.1 percent. From the data and analysis above, we see continued improvement in the local economy. Nevertheless, the community needs to remain focused on job-creation projects in targeted industries. These industries have been identified as the Miami-Dade County industries most able to create additional well-paying job opportunities, leading to an improved quality of life for Miami-Dade County residents. The Miami-Dade Beacon Council continues to aggressively work on attracting new companies to our community and work on the expansion and retention of existing business. For more information, visit www.beaconcouncil.com. The job creation numbers are derived from the U.S. Bureau of Labor Statistics Current Employment Statistics Program (CES), and only account for non-farm payroll jobs. However, the unemployment rates are derived from the U.S. Bureau of Labor Statistics Local Area Unemployment Statistics Program (LAUS), which includes farm payroll jobs as well as self-employed workers. In addition, the federal government typically conducts interviews in sample households to determine the unemployment rate. Miami-Dade County is one of six metropolitan areas in the United States that uses a different method solely based on a statistical model derived from several data sets. * The seasonally adjusted unemployment rate is unavailable at the time this report was composed. Learn more about the position. Newly re-elected Miami-Dade County Mayor Carlos A. Gimenez presented his vision of the future for the County during the 2016 Installation Ceremony on Nov. 22 held at the Miami-Dade County Auditorium. 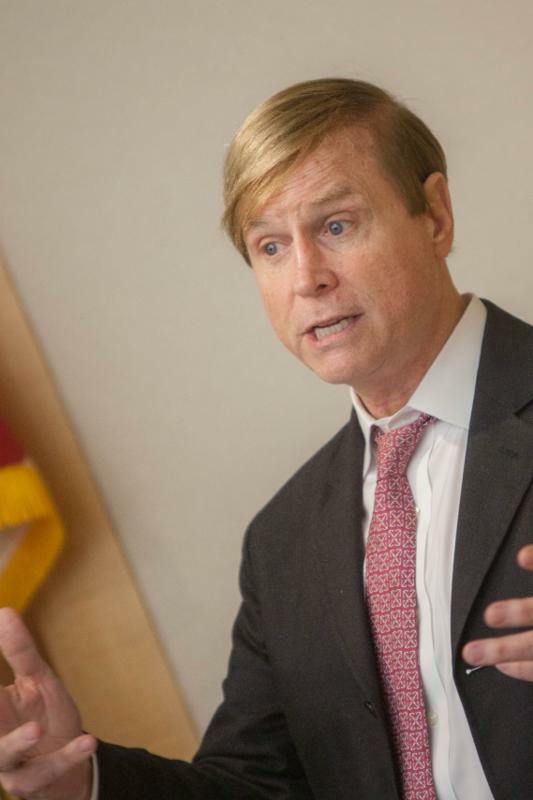 “If we don’t have a vibrant economy, we don’t have a transportation problem,” he said. “Transportation issues – and how we solve those transportation issues – is going to be one of our top priorities in the next four years. This challenge isn’t easy. And it won’t be solved overnight. But it’s something we have to do for our children, and our grandchildren.” The ceremony was presented by Mayor Gimenez and the Board of County Commissioners. The webcast is available atwww.miamidade.gov/webcasting. 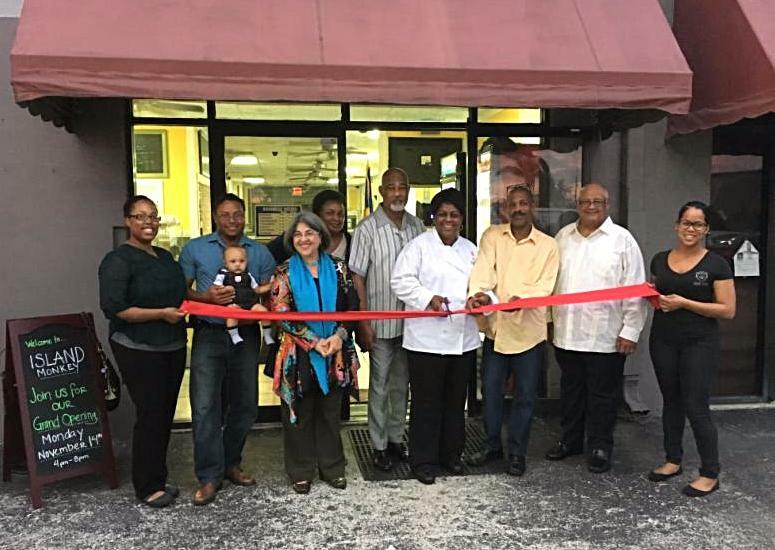 The owner of Island Monkey Market Place, a graduate of the District 8 Small Business Academy initiated and run by Miami-Dade Commissioner Daniella Levine Cava in 2015, held a ribbon-cutting ceremony recently to celebrate its opening. 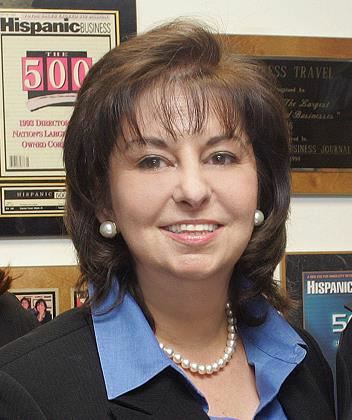 Sheri Colas-Gervais, Vice President of Economic Development and Urban Initiatives at the Miami-Dade Beacon Council, met the CEO Rosalind Malcolm during an academy workshop and began working with the company assisting them with finding a location, providing data and strategic marketing as well as introducing them to business contacts. 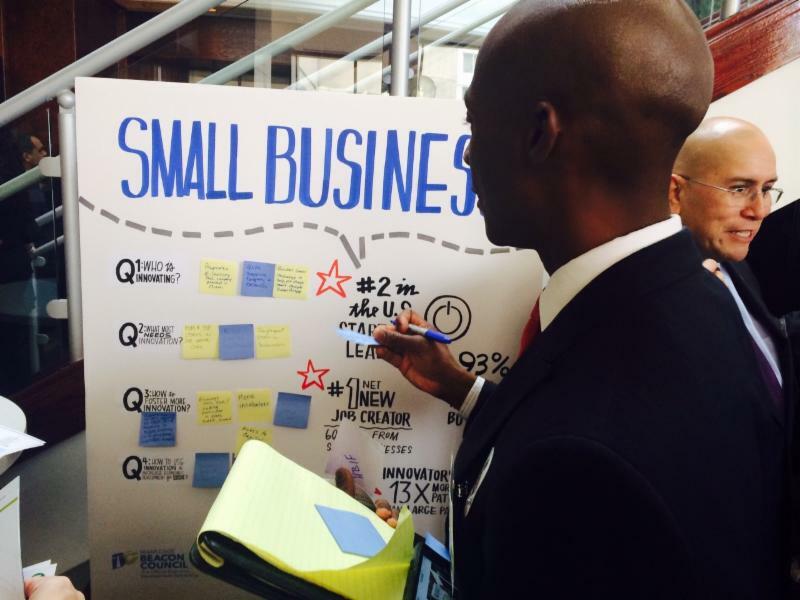 The District 8 Small Business Academy provides training and resources to local businesses so that entrepreneurs have the tools they need for success. The Miami-Dade Beacon Council partnered with Commissioner Levine Cava on the academy and presented at the several of the workshops. During the ceremony, Commissioner Levine Cava provided remarks about the importance of small businesses. Leadership with Commissioner Dennis Moss’s office also attended the ceremony held at the business located in District 9. 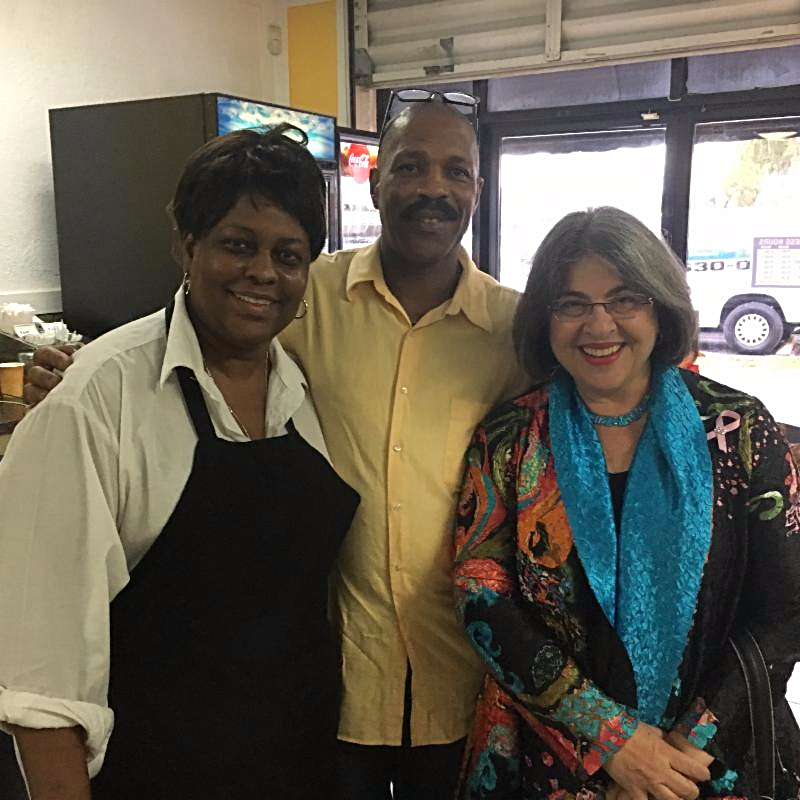 The Caribbean-fusion restaurant evolved from Malcolm’s lifelong dream to open a restaurant.The Honorable Colin S. Mayers, Consul-General of Barbados in Miami, also attended. 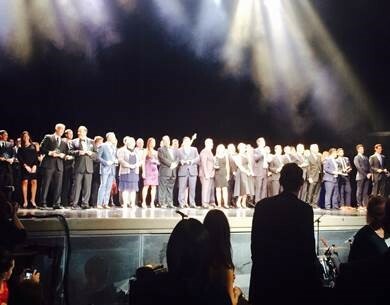 Read more about the academy. 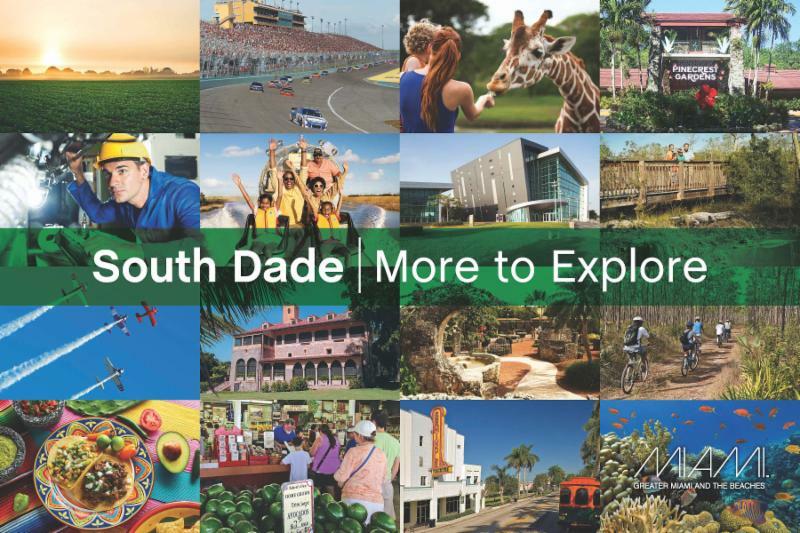 The South Dade Solutions Summit 3 gathered elected officials and community leaders on Nov. 28 to discuss branding opportunities for the area including promoting the variety of experiences available. Some historical offerings include the Deering Estate, Coral Castle, the renovated Seminole Theater and the Gold Coast Railroad. The meeting sponsored by Community Newspapers included remarks by Commissioner Daniella Levine Cava, Commissioner Dennis Moss, Rolando Aedo, Executive Vice President/CMO of Greater Miami Convention & Visitors Bureau(GMCVB), Bruce Turkel, CEO/ECD of Turkel Brands and Rene Infante with the Economic Development Council of South Miami-Dade. This December ditch your car (for a day)! Two social-entrepreneurs – of Urban Impact Lab and Radical Partners – are teaming up to strengthen our region’s public transit system by embarking upon a regional “Public Transit Day”. They are urging public officials, community leaders, and residents in Miami-Dade, Broward, and Palm beach counties to take the pledge to use public transportation for the day. Public Transit Day is being co-hosted by local organizations and businesses committed to improving South Florida’s public transit system. The arts are an important economic industry, generating revenue, creating jobs and developing communities. Find the latest info about Art Basel Miami Beach, with the Miami Herald’s Art Finder Miami App. The Art Finder Miami App was developed by the Jefferson Institute through a generous grant from the Knight Foundation. Headlining the Patricia & Phillip Frost Art Museum’s Art Basel Season for 2016, Narciso Rodriguez: An Exercise in Minimalism is the first-ever museum solo exhibition by Cuban-American fashion designer Narciso Rodriguez. The exhibition is on view through Jan. 8. Join the Miami office of BDO USA for our complimentary Year-End Accounting and Tax Update! As Miami-Dade County’s official economic development partnership, The Beacon Council is charged with bringing new, job-generating investments to the community, while assisting existing businesses in their efforts to expand. By doing this, The Beacon Council facilitates the creation of quality jobs for each and every resident of Miami-Dade County. The Beacon Council is an accredited economic development organization. Emily Gresham, Co-Founder, StartUP FIU; Jaret L. Davis, Miami-Dade Beacon Council Chair; Dyan Brasington, Executive Vice President for Economic Development; Sheldon Anderson, Interim President & CEO and Jeff Feldman, Board Member; represented the partnering organizations at the showcase. More than 200 attendees gathered at STR Miami in the Little River District Nov.15 to engage with innovators about products being developed locally. 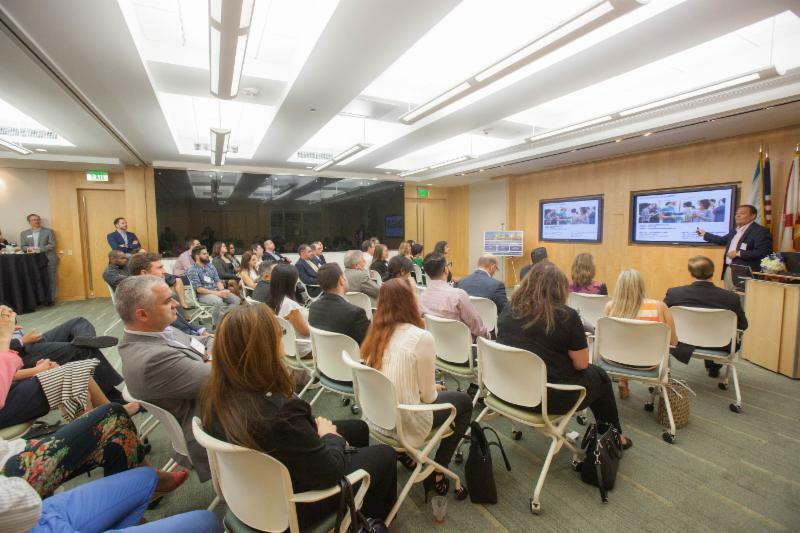 The Miami-Dade Beacon Council partnered with StartUP FIU to connect entrepreneurs and innovators and their new products and technologies to the local corporate community. The event sponsored by Carlton Fields was the first event showcasing the Council’s Connect & Grow Initiative which facilitates relationships between established companies and innovative entrepreneurs to help grow local businesses. “We are creating a mutually beneficial synergy that will power existing businesses to new heights by employing innovations being fostered by forward-looking entrepreneurs,” said Miami-Dade Beacon Council Chair Jaret L. Davis, Greenberg Traurig Miami Co-Managing Shareholder. Miami-Dade Beacon Council recently partnered with City National Bank to provide a familiarization tour for Chilean Journalists so that they understand the market and opportunities. Ten journalists from some of Chile’s most important media outlets toured PortMiami and the PAMM, attended an international advisory council meeting and a roundtable discussion with Miami-Dade business leaders. BCI made the largest single investment in the U.S. by a Chilean company when it purchased City National Bank for almost $1 billion about one year ago. This purchase was one of the largest M&A deals of the year. BCI has had a presence in Miami for nearly 15 years, with its Miami branch. It also recently opened BCI Securities in Miami. This is all part of BCI’s internationalization strategy. The tour was an effort to help the Chilean business media learn more about South Florida, BCI and City National Bank. The media outlets involved include El Mercurio, La Cuarta, Bloomberg Chile, La Hora. and Miami-Dade Beacon Council Staff: Mario Sacasa and Pamela Fuertes-Berti. Miami Dade College President Eduardo Padrón will be awarded the Presidential Medal of Freedom by President Barack Obama at a White House ceremony on November 22. This is the nation’s highest civilian honor, presented to individuals who have made especially meritorious contributions to the security or national interests of the United States, to world peace, or to cultural or other significant public or private endeavors. During his more than four decade career, President Padrón has been one of the most effective national voices for access and inclusion. He has created a culture of success at Miami Dade College (MDC) while elevating it to a position of international prominence. He has worked tirelessly to ensure all students have access to high quality, affordable education, producing impressive results in student access, retention and overall achievement. Today the College enrolls and graduates more minority students than any other institution in the United States. He has championed innovative teaching and learning strategies making MDC a national model of excellence while preparing students for the 21st century global knowledge economy. Read the Miami Herald article. Miami-Dade added 1.4 percent job growth (15,300) from October 2015 to October 2016 with increases in a variety of sectors, according to statistics released Friday. “The Miami-Dade Economy continues to demonstrate significant resiliency in employment creation, despite strong ‘head-winds’ from sluggish growth in the global economy and recessionary conditions in top trade partners,” said Tony Villamil, Chair of the Miami-Dade Beacon Council Economic Roundtable. Miami-Dade County created 15,300 new nonagricultural payroll jobs (not seasonally adjusted), from October 2015 to October 2016 which was a 1.4 percent increase. Miami-Dade County continues to show year over year gains. Improvements in the non-farm payroll jobs can be found in a variety of sectors. Between September 2016 and October 2016, Miami-Dade County increased nonagricultural payroll jobs by 6,900 or a 0.6 percent increase. The not seasonally adjusted unemployment rate for Miami- Dade County was 5.4 in October 2016, which was a 0.6 percentage point decrease from October 2015 at 6.0 percent. From October 2016 was 0.2 percentage decrease from September, which was at 5.6 percent. In October 2016, the seasonally adjusted unemployment rate for Miami-Dade County (taking seasonal fluctuations in the labor force into consideration) was 5.3 percent, which is 0.1 percentage points higher than September 2016 at 5.2 percent, and a 0.8 percentage point decrease from October 2015 at 6.0 percent. HCP/Aboard Publishing, a subsidiary of McClatchy with clients throughout the United States, Latin America, Mexico and the Caribbean, announced it has changed the name of the company and is re-launching under the brand HCP Media. The move comes as the company diversifies its capabilities to provide a wider array of products and services to its international client base. Miami-Dade Beacon Council’s Advantage Miami (formerly known as the Miami Business Profile & Location Guide) is published by HCP Media. Miami ranked 5th among 19 major cities in tech growth in the last 4 years. Miami was behind Phoenix, Portland, Chicago and Kansas City with a 19.3% increase in tech density. Watch International Advisory Committee Chair Olga M. Ramudo, president & CEO of Express Travel, being interviewed by CNN Chile at the Miami-Dade Beacon Council about Miami as a top business destination and its relationship with Chile. Miami-Dade small businesses are confidant about 2017, according to a recent Miami Herald article. About 71 percent of Miami small business owners plan to grow their business over the next five years (16 percentage points higher than their peers nationwide). Nearly half of the small business owners surveyed plan to hire new employees in 2017. Results from the Fall 2016 Bank of America Small Business Owner Report. Business owners were surveyed between Aug. 7 and Oct. 4. Headlining the Patricia & Phillip Frost Art Museum’s Art Basel Season for 2016, Narciso Rodriguez: An Exercise in Minimalism is the first-ever museum solo exhibition by Cuban-American fashion designer Narciso Rodriguez. The exhibition, on view through Jan. 8, features more than 35 couture designs presented alongside works of art in the museum’s Grand Galleries. Visitors will experience the history-making fashions next to works by major artists, including Carmen Herrera, Donald Judd, Jennifer Steinkamp, Lygia Clark, Mira Schendel, Antonio Llorens and Elena Asins. Take advantage of this opportunity to ask meaningful questions of our subject matter leaders and join in discussions specific to your business and operational challenges. 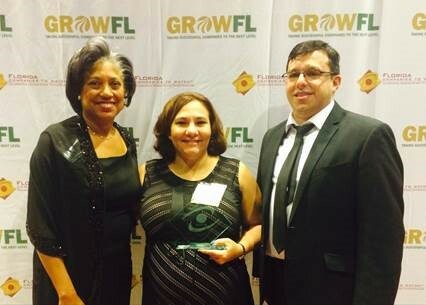 CFO Key Lime Interactive attended the GrowFL event held in Orlando. Key Lime Interactive, with offices in Miami and Brooklyn, New York, is among 50 statewide companies expected to see significant growth over the next several years. The company based in Doral was selected from more than 500 nominees for Florida Companies to Watch, a statewide program managed by economic development group GrowFL, in association with the Edward Lowe Foundation. Ania Rodriguez has served as a user experience advisor to Fortune 500 companies around the world for nearly two decades on the topics of User Interface Design, Product Design, and User Research. 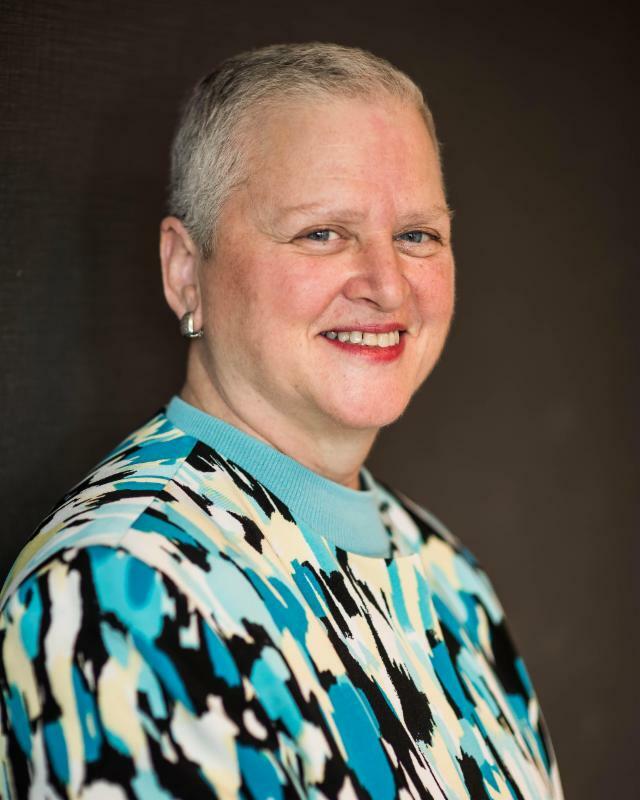 Known for her focus on actionable results and quality, her leadership has resulted in double-digit growth over the past six years and the company has emerged to become the leading user experience research firm in the United States. 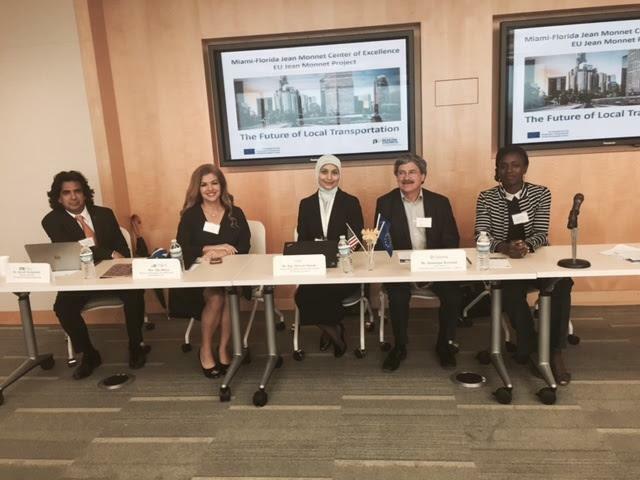 The future of local transportation was discussed with European experts and infrastructure leaders during a workshop provided under the framework of the EU Jean Monnet Project, held and co-sponsored by the Miami-Dade Beacon Council. Topics included mass transit, clean vehicles, smart transportation, tactile internet and quality delivery of services at affordable prices. The County recently created a new Transportation and Public Works Department as a more holistic approach to easing the county’s congestion challenges, and placed Alice Bravo, who participated in the panel, as the sole director in charge of road maintenance and cars-for-hire as well as buses and rail. and Public Works, participated in the panel discussion. Moderator: Danye Aboki, Counselor, Transport and Sustainability Cities French Embassy in Washington D.C.
Miami Dade College debuted its new fashion institute recently at its Downtown Miami campus. The Miami Fashion Institute is part of a new degree program that provides students with knowledge about the world of fashion, learning about the industry from both the creative and business sides. The new program located at MDC’s Wolfson Campus was made possible with the support of the Mitchell Wolfson Sr. Foundation. 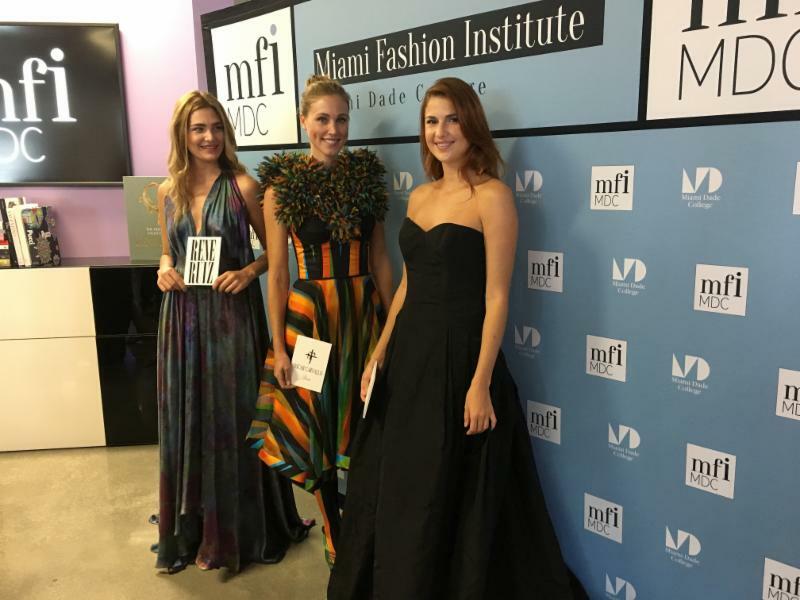 Miami Fashion Institute is the only facility of its kind within a public higher education institution in Florida, and only one of a handful that exists nationally. 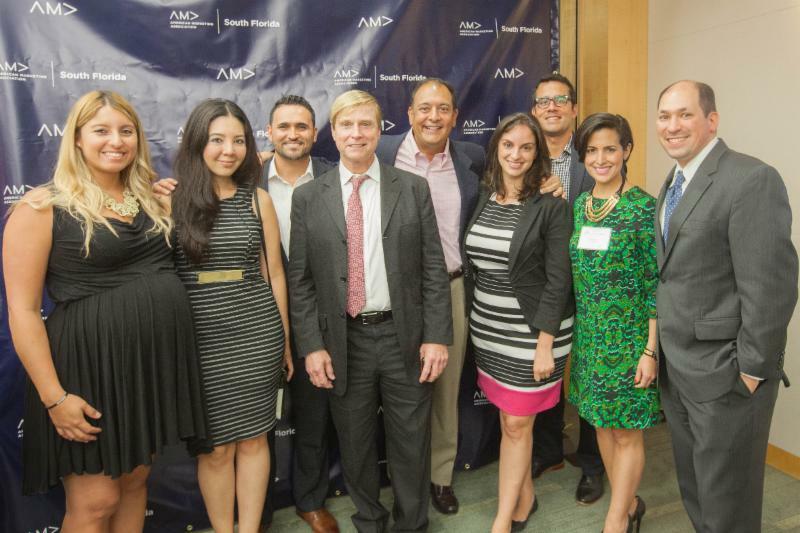 Local corporate marketers and business leaders gathered at the Miami-Dade Beacon Council in downtown Miami for the American Marketing Association (AMA) relaunch event. Guests heard from leaders in the marketing industry and the AMA team, networked and saw the unveiling of the new AMA branding. Russ Klein, AMA CEO (below) provided remarks. 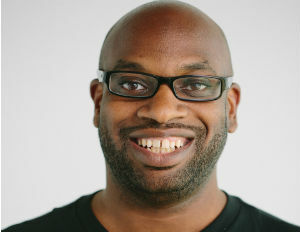 Klein previously served as CMO for Burger King. 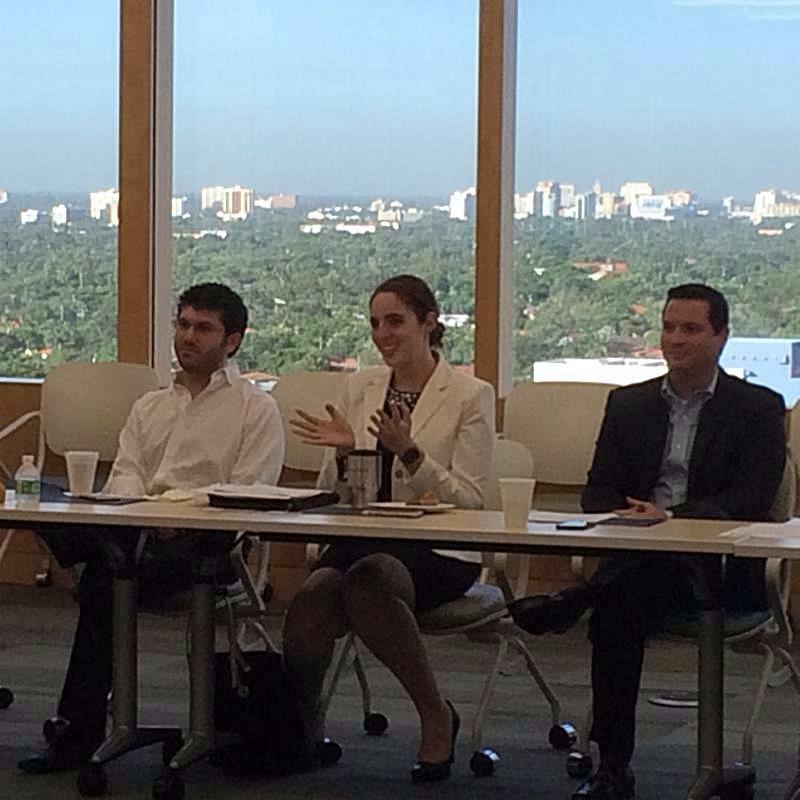 Miami-Dade Beacon Council CMO Susan Greene discussed the nonprofit’s job-generating mission and strategy. 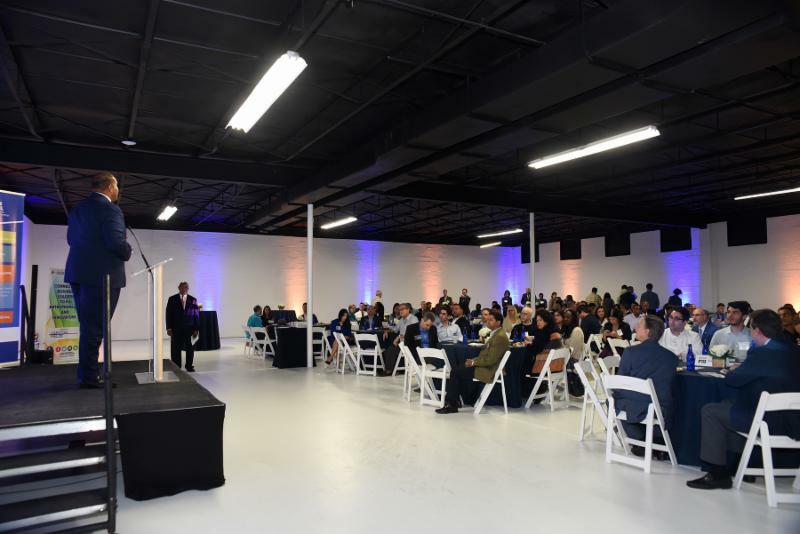 KLX Aerospace Solutions, a global distributor of aerospace fasteners and consumables, announced that it is expanding its Miami-Dade operations and building its new global headquarters with a state of the art distribution center in Hialeah. The expansion adds new jobs and capital investment in Aviation, one of the County’s seven target industries. KLX’s decision to stay in Miami-Dade, despite significant pressure from other communities including Memphis or Phoenix, retains almost 600 existing jobs and creates more than 100 jobs in the first year of growth and up to 400 new jobs in the future. KLX Aerospace Solutions is a global company with more than 1.5 million square feet in over 60 locations with 2,000+ employees worldwide. The new company headquarters will be 480,000 square-feet. The Miami-Dade Beacon Council has been working with KLX Aerospace Solutions for more than two years on a variety of services including site selection, zoning and permitting assistance, financing programs analyses. It also helped to create a package of state and local incentives, which was approved to retain and grow KLX in Miami-Dade. These are performance-based programs that will only pay the award once the capital investments are made and the new jobs are created. Event speakers included: Damla Gerhart, Managing Director, Workplace Strategies, CBRE; Elizabeth Dvorak, CEO, Workscapes and Beacon Council Board Member; Rob Marsh, Advisory & Transaction Services, Labor Analytics, CBRE; Rick Beasley, Executive Director, CareerSource South Florida; and Brandon Forde, Executive Managing Director, Occupier Advisory & Transaction Services, CBRE. Sheldon Anderson, Interim President & CEO of the Miami-Dade Beacon Council, (not pictured) provided welcoming remarks. 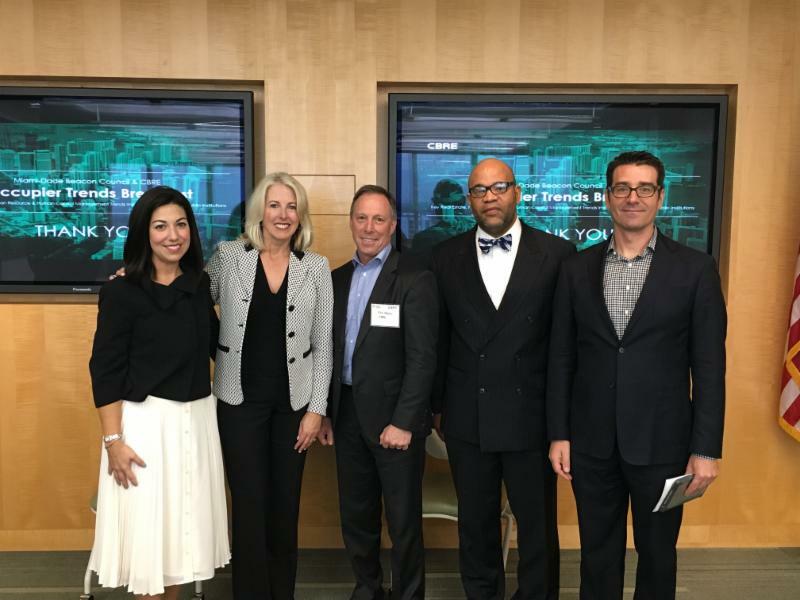 CBRE and the Miami-Dade Beacon Council partnered to provide a better understanding of today’s changing workforce trends during an event that paired national experts and local professionals. The discussion focused on the economic impact and business implications for decision makers, real estate professionals and others focused on retaining their best employees and making work spaces as productive as possible. CBRE analyzed responses from 402 executives managing corporate real estate (CRE) portfolios around the world. The report reveals three consistent global themes on the CRE executive’s agenda: balancing local actions amid global economic uncertainty, implementing employee-centric workplace strategies, and supporting rapid enterprise transformation all while strategically managing costs. Highlights included: 50 percent of the companies of the future will be located in emerging markets. Cities like Sao Paolo, Beijing and Shanghai are growing populations that rival major U.S. cities. This has implications for Miami as it is a gateway to emerging markets. In addition, workplace strategies were presented to counter employee dissatisfaction. According to a report, half of the employees surveyed worldwide felt disengaged to their workplace. Companies that provide employee-focused amenities gained cost-savings and increased productivity. Topics also included co-working and collaborative spaces, Millennials as the largest generation in the workforce and the so-called “war for talent”. Nabil Achkar, Secretary of the Consular Corps, Hon Eduardo Rivadeneira, Consul General of Ecuador and Acting Dean of the Corps presenting a special memento to Alex Villoch. Alexandra “Alex” Villoch, President & Publisher of the Miami Herald Media Company provided remarks as Guest Speaker at a Consular Corps luncheon at the Riviera Country Club in Coral Gables. Villoch, a Past Chair of the Miami-Dade Beacon Council, was introduced by Beacon Council Senior Vice President Mario Sacasa, former Consul General of Nicaragua, and Past Dean of the Consular Corps. 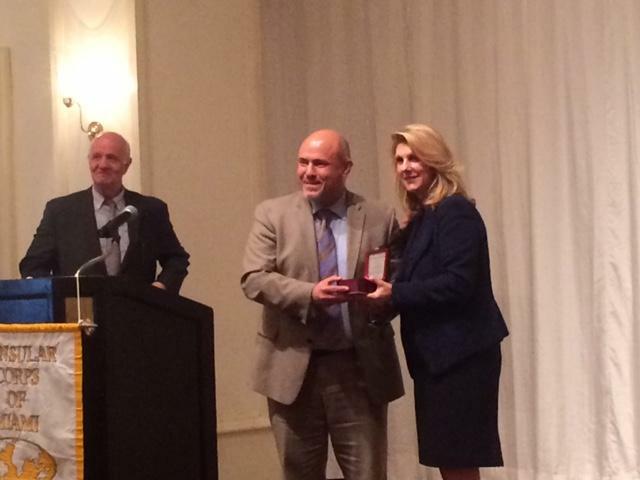 Villoch’s remarks focused on the topic of Transformation of Media / how technology is changing media. She provided details about the significant changes in media demographics and circulation as a result of technical advances in the last few years. Several members of the Miami-Dade Beacon Council leadership attended including Treasurer Dawn White with American Airlines and Secretary Daniel Mackler with Gunster. 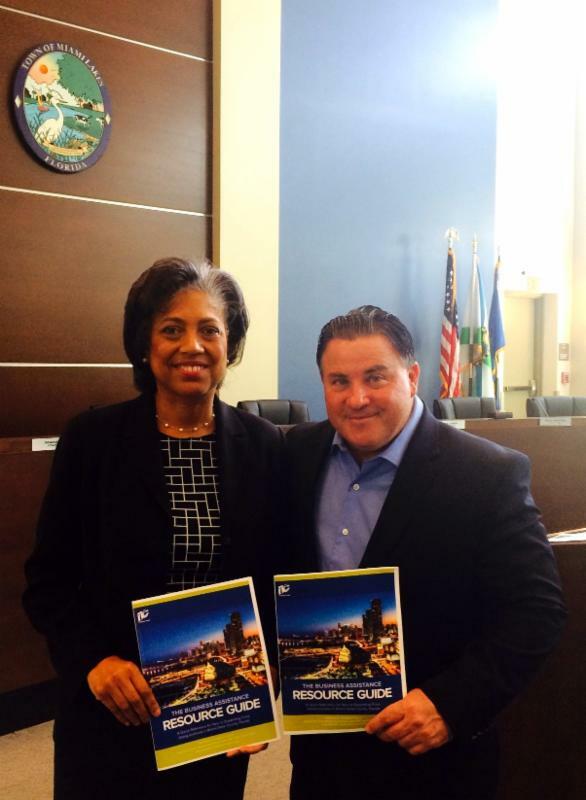 Town of Miami Lakes Mayor Michael Pizzi hosted the workshop that included a presentation from Sheri Colas-Gervais with the Miami-Dade Beacon Council. An Access to Capital Workshop was held recently in Miami Lakes providing one-on-one discussions with local lenders from the community – banks, credit unions, alternative lenders. Sheri Colas-Gervais, with the Miami-Dade Beacon Council, provided attendees who included small business owners, with the availability of the emergency bridge loan as a tool to be aware of, along with traditional and non-traditional debt and equity funding. SBA representatives discussed loan guarantee programs, international guarantee programs, Federal procurement opportunities, and disaster recovery loans. 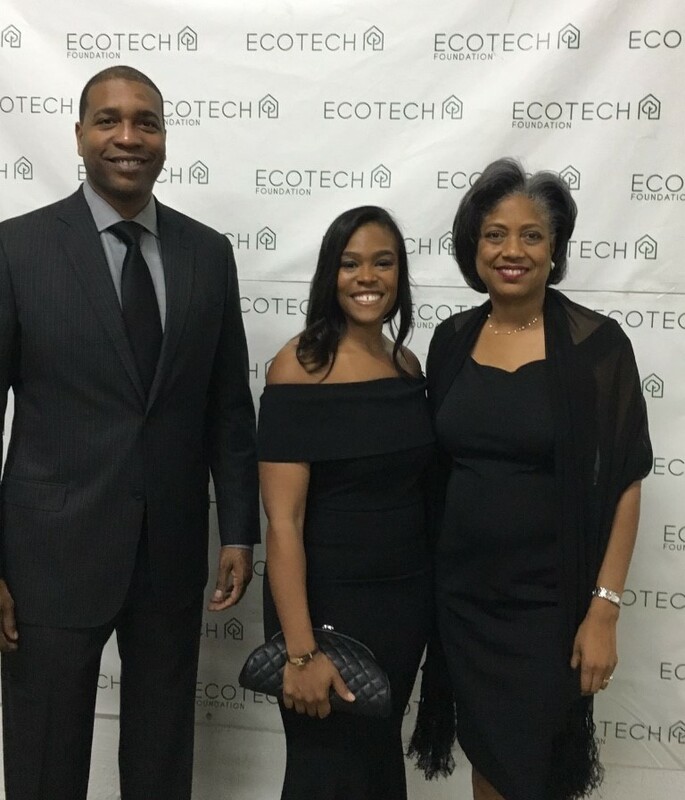 Brian Backeen, Kairos Founder and CEO, was recently named Innovator of the Year at Black Enterprise TechConneXt Summit for his notable contributions to the tech industry. During the event, he offered attendees candid insight on fundraising, navigating challenges, and ultimately the road to excelling in tech. Kairos is a human analytics company that uses three-dimensional data to measure human feelings and interactions, and was recently featured in Florida Trend as a promising new company. Kairos received funding from the Institute in November 2015. 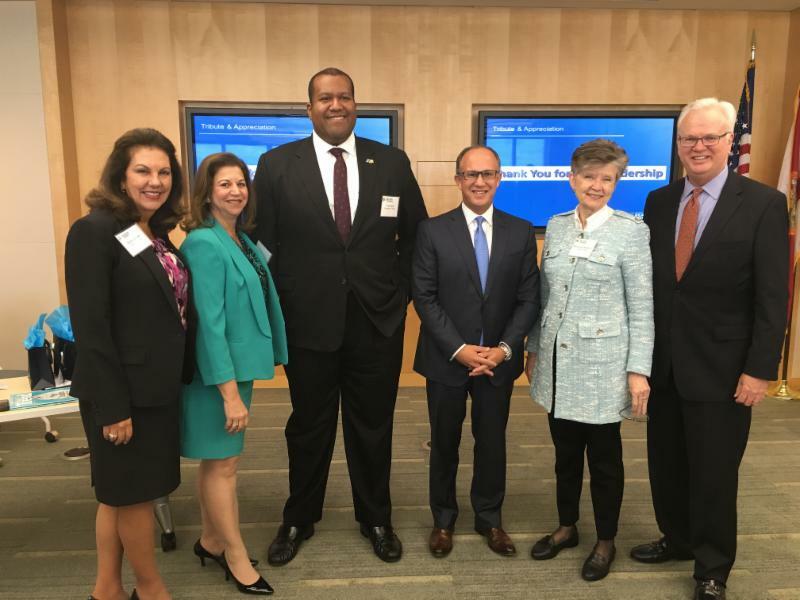 He was also a panelist during the Miami-Dade Beacon Council New Leaders Taskforce third annual networking reception and entrepreneur focused program held in June. 57 percent of “occupiers” see employee attraction and retention driving workplace strategy, according to the CBRE report. Read more in the newsletter item below. Miami-Dade is #2 in the nation for the most startups. made up of social and traditional entrepreneurs from the South Florida community! Air Reserve Base is announcing Wings Over Homestead Open House and Air Show 2016. This two-day event will feature the U.S. Air Force Thunderbirds. 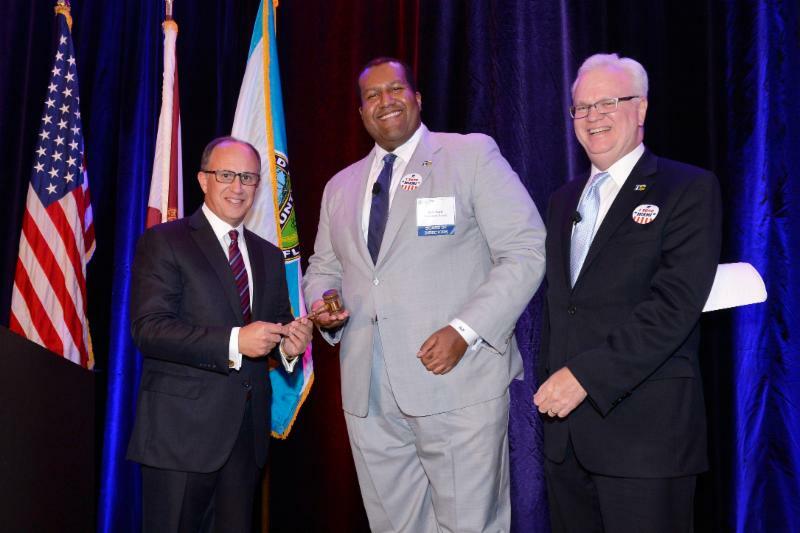 2015-16 Chair Ernie Diaz passed the gavel to 2016-17 Chair Jaret Davis during the Annual Meeting held Oct. 13. Outgoing President & CEO Larry K. Williams was also honored during the event. The Miami-Dade Beacon Council Annual Meeting presented year-end accomplishments including job creation and retention statistics, and new capital investment in our community, plus a focus on future opportunities for economic development through innovation. 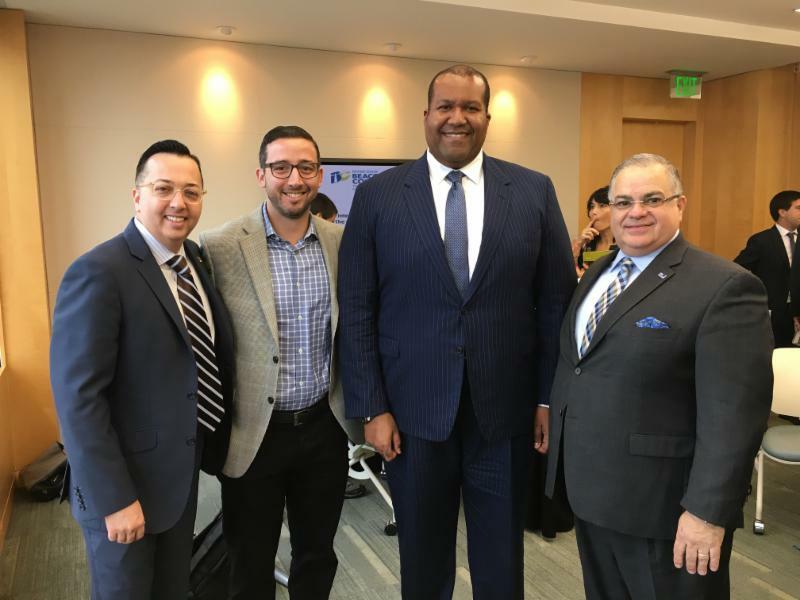 The year-end meeting also celebrated the change in Board leadership with Jaret Davis taking over as Chair of the Miami-Dade Beacon Council Board of Directors. – UPS which is investing nearly $65 million. In total, more than 1,700 new jobs will be created in Miami-Dade at the 43 companies assisted by the Miami-Dade Beacon Council. These new companies will add more than $188.2 million in new capital investment to our community. To see more Miami-Dade Beacon Council results, read the Annual Report. Miami-Dade added nearly 15,000 jobs (1.3 percent job growth) from September 2015 to September 2016 with growth across industries including the construction sector leading (10.8 percent growth), followed by financial activities sector (3.7 percent) and professional service sector (3.5 percent), according to statistics released Friday. 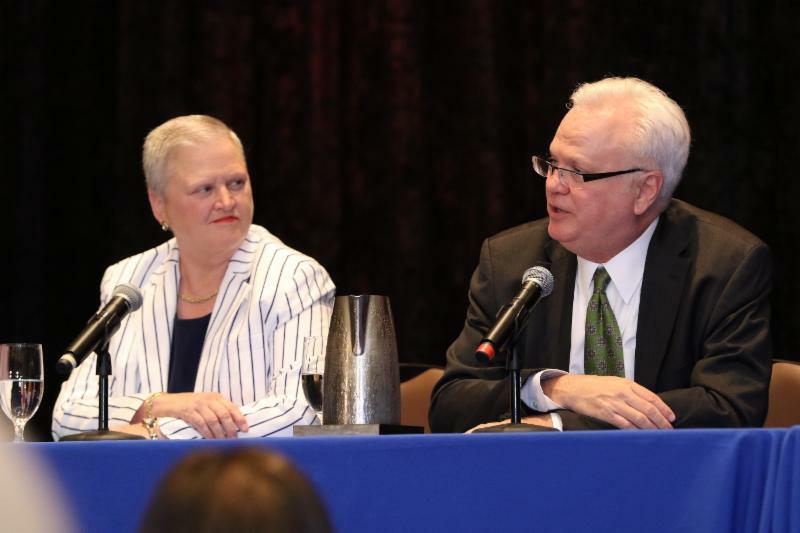 Penny S. Shaffer, Ph.D., Market President, South Florida and Larry K. Williams, President and CEO, Miami-Dade Beacon Council, participated in a panel discussion. OIC of South Florida, through regional and national partnerships, hosted the Building, Elevating, and Sustaining the Middle-Class Summit. A dynamic array of thought leaders from the business, education, political and community members including Larry K. Williams, President and CEO, Miami-Dade Beacon Council, Penny S. Shaffer, Ph.D., Market President, South Florida, Florida Blue and a national presence by U.S. Department of Labor Deputy Assistant Secretary of Employment and Training Administration Eric M. Seleznow, came together Oct. 17-18. 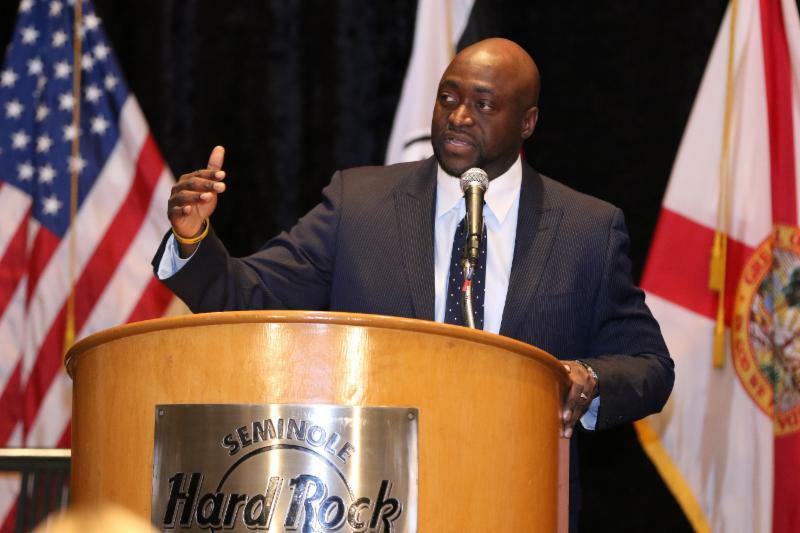 Event discussions focused on strengthening the commitment that will harness the collective strategies and forge ahead on initiatives being spearheaded by Six Pillars Broward and One Community One Goal Miami-Dade. The two initiatives will be the ongoing platforms from which strategies discussed at the Summit will be operationalized. 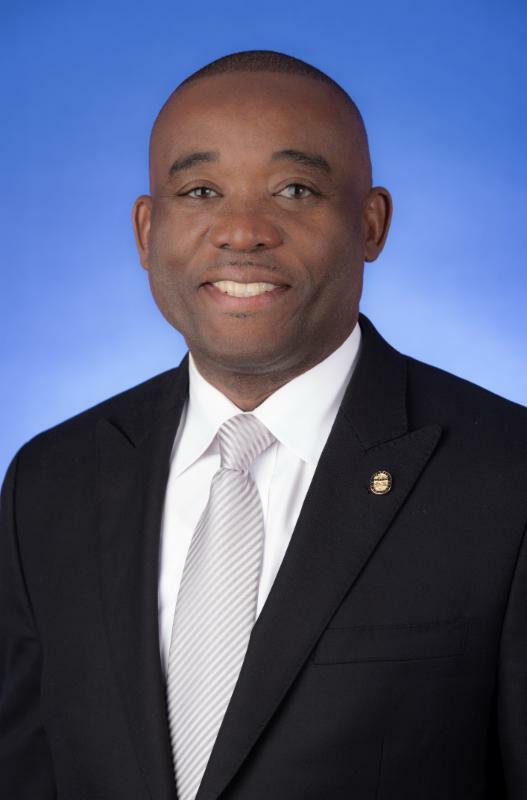 According to Newton Sanon, President, and CEO of OIC of South Florida, “Our goal is to make sure that we are all committed to preserving the middle class.” OIC of South Florida along with our community partners have joined forces to champion the building, elevation and sustaining of the middle class. For more information about the Middle Class Summit, please visit OICSFL.ORG. 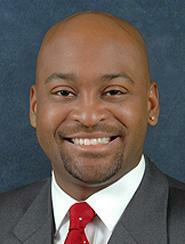 Newton B. Sanon, President/CEO, OIC of South Florida, provided remarks about OCOG providing a strategic framework. Austin Hollo, Chair-Elect; Maya Tzur, Chair; and Oscar Lopez, Immediate Past Chair; welcome and kickoff new program. President & CEO Larry K. Williams addressed the Miami-Dade Beacon Council New Leaders Taskforce during the group’s first meeting of the new fiscal year. 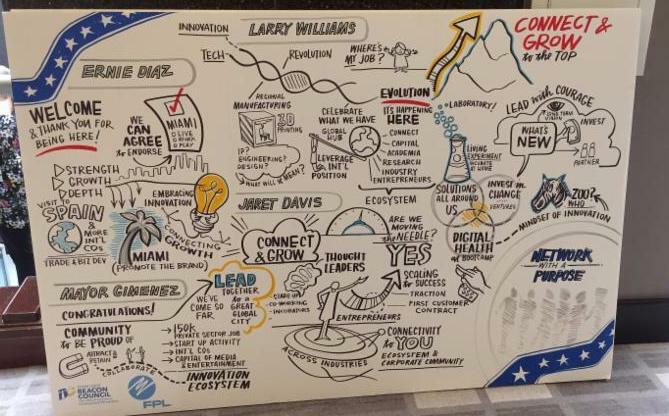 Williams discussed the Miami-Dade Beacon Council’s mission, strategy and new Connect & Grow innovation initiative and followed up with an informal Q&A session. NLT Chair Maya Tzur cited Williams’ accomplishments including $687 million in new investment and 119 companies creating 4,500 plus jobs through company locations or expansions in the last three years. 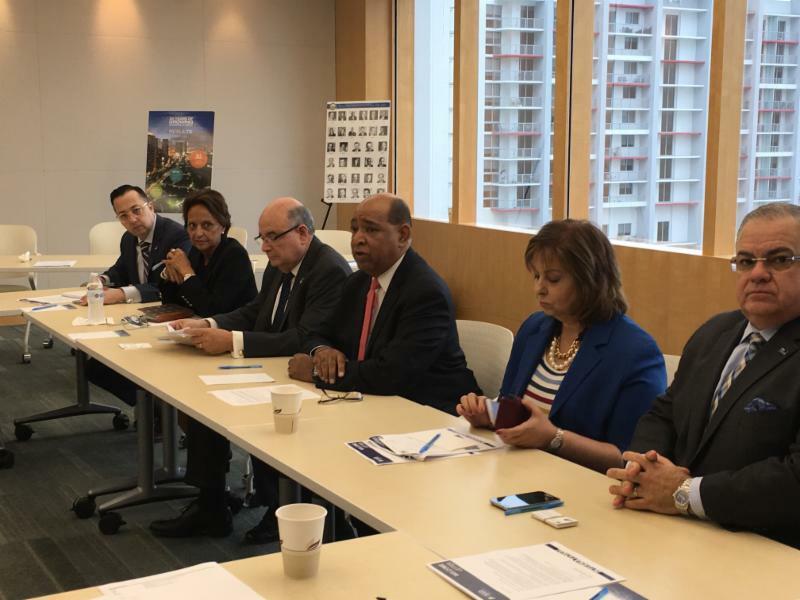 The Miami-Dade Beacon Council formed the New Leaders Taskforce as a way in which to develop future leaders for the Miami-Dade Beacon Council and economic development in Miami-Dade County. They are charged with developing and executing tactics that help cultivate a vibrant and growing community of talented young professionals who are vested in Miami-Dade County’s future growth and in possible leadership roles within the Miami-Dade Beacon Council. The Miami-Dade Beacon Council New Leaders Taskforce aims to inspire increased collaboration and partnership with other local young professionals groups, sharing the goal of talent retention. Committee members include: Joseph Hovancak, Miami-Dade Beacon Council One Community One Goal; Lupe Bruneman, Healthcare Consulting Alliance, Inc.; Margie Lee, AARP; Maria Alonso, Bank of America; Rudolph Moise, Comprehensive Health Center (Committee Chair); Maryam Laguna, Take Stock in Children; and Chérie Weinstein. United Way of Miami-Dade “Golden Wishes Local Leaders” made long-held dreams a reality for seniors at the first Golden Wishes event hosted by United Way of Miami-Dade on Sept. 30. The event honored elders age 70+ by granting them a “wish” such as: a gift to make life easier, a new experience such as swimming with dolphins, or a chance to reconnect with a loved one. From more than 100 wish requests, 16 were granted by volunteers on United Way’s Golden Wishes Committee, chaired by Dr. Rudolph Moise, United Way board member and founder of this pilot initiative and supported by Harve A. Mogul, President & CEO at United Way of Miami-Dade. Fifteen committee members worked on fulfilling wishes by making personal gifts, seeking in-kind donations, and involving their companies including Maria Alonso, Senior Vice President, Bank of America Bank and Joe Hovancak, Vice President One Community One Goal, Miami-Dade Beacon Council. 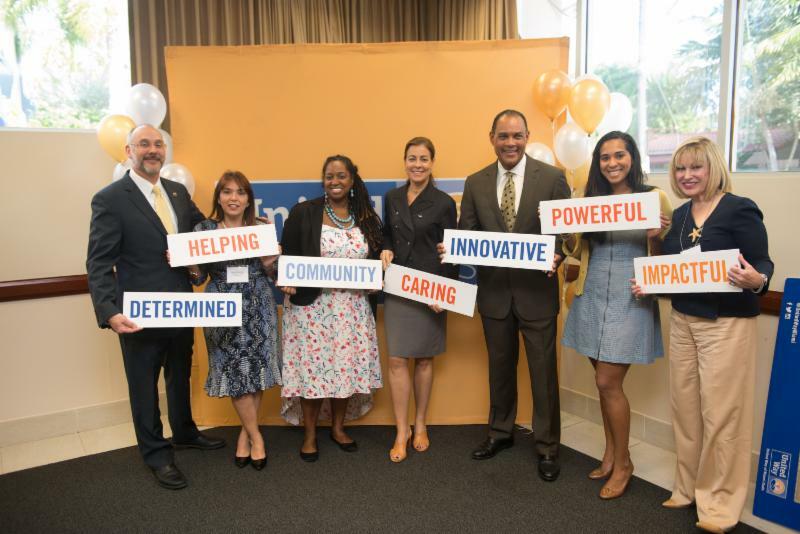 OCOG’s strategic recommendations are focused on economic prosperity for all of Miami-Dade County and include involvement by a broad spectrum of local organizations like the United Way. This is a demonstration of how our community continues to rally to create a better work and living environment for all citizens. It also enhances Miami’s brand as a welcoming place to grow and expand your business, supporting all facets of our community. 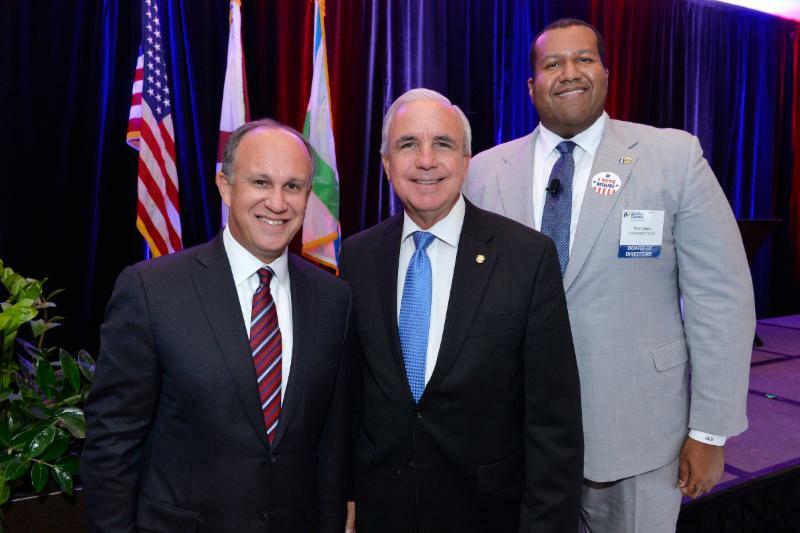 Miami-Dade Beacon Council 2015-16 Chair Ernie Diaz, Mayor Carlos A. Gimenez and Miami-Dade Beacon Council Chair 2016-17 Chair Jaret Davis all discussed Miami’s potential for innovation during the Annual Meeting. 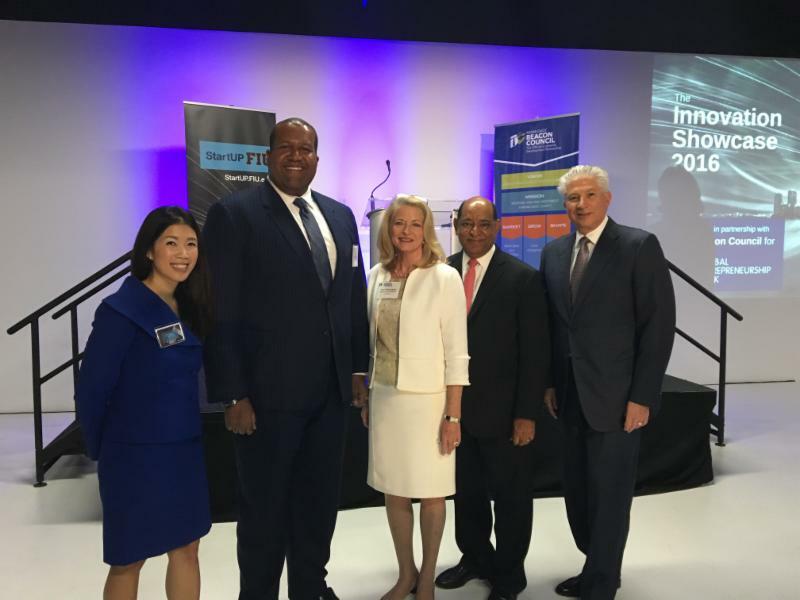 The Miami-Dade Beacon Council Annual Meeting kicked off the organization’s new fiscal year by showcasing innovation as a way of building business in Miami-Dade County. To highlight the theme, the audience engaged in interactive networking activities that promoted target industries and business markets, and local innovators and entrepreneurs spoke about succeeding in a new technological environment. 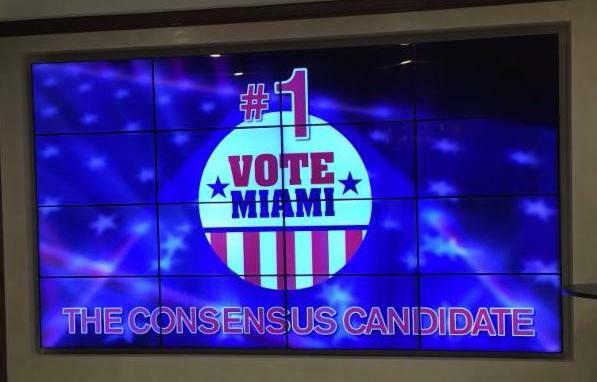 More than 400 people attended the event, presented by Florida Power & Light and held at the Miami Marriott Dadeland Hotel, also celebrating Miamian’s affection for their hometown with a “Vote Miami” election theme. Before the event began, attendees “networked with purpose” by sharing ideas on how innovation impacts local target industries and business markets, sponsored by Greenberg Traurig. Miami-Dade Beacon Council thanks our Sponsors for supporting this event. The Miami-Dade Beacon Council announced its 2017 Board of Directors and Officers. The leadership group includes many of Miami’s most well-known business leaders and representatives of the community’s successful small businesses, and leading government officials. For a complete list of BOD members, click here. Florida Gov. Rick Scott recently activated the Florida Small Business Emergency Bridge Loan Program as a result of Hurricane Matthew. The bridge loan program helps bridge the gap for small businesses between the time impact occurs until other resources are available, including insurance claims or federal assistance. * Demonstrate economic or physical damage as a result of Hurricane Matthew. Deadline to apply is Nov. 11. Miami-Dade Mayor Carlos A. Gimenez and CareerSource South Florida has launched a new mobile App called EMPLOY MIAMI-DADE to assist job seekers find a career. For the past three years companies assisted by the Miami-Dade Beacon Council have occupied about 1 million in new square footage each year. Miami-Dade Beacon Council saluted its past year’s leadership team. From L to R: Donna Abood, Yolanda Nader, Jaret Davis, Ernie Diaz, Patricia Thompson and Larry K. Williams. “We are grateful to this esteemed group of individuals for their commitment to Miami-Dade County’s future economic success,” said Miami-Dade Beacon Council Chair Ernie Diaz, Regional President for TD Bank in Florida. Join us from 11 am-noon to talk to business and government leaders and give your input on how innovation is impacting Miami’s fastest growing industries. I have lived in Miami since 1997. I came to Miami from Mexico City, Mexico to join AT&T Regional Operations. 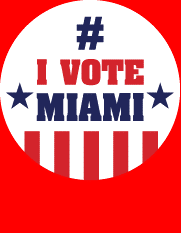 How did you first get involved with The Miami-Dade Beacon Council? I became a representative for AT&T when George Foyo retired in 1999. I found the organization a good option to fulfill several important goals: a contribution to the development of a world class city with a robust economy, a place for executive relationship building and an opportunity to maintain a strong brand image. Those same goals were fulfilled when I moved to Florida Blue, the BlueCross BlueShield independent licensee in Florida. What are Miami’s top business assets? The most important asset for Miami is the quality of the community’s workforce. We have trained professionals with multi-lingual capabilities, an important factor in our ever changing diverse community. What’s next for your business/industry? What do you like best about living in Miami? Having lived and worked in many places around the globe, I love that Miami is a cultural mosaic. When AT&T and SWB merged in 2005, I chose to remain in Miami and make it my permanent home. I adopted the famous quote – I have sand in my shoes. Miami Dade College offers more than 30 degree programs and certificates and two baccalaureate degrees, The School of Engineering and Technology (EnTec) is designing curriculum in collaboration with our industry partners in the areas of animation, cybersecurity, data analytics, robotics, information systems and electronics engineering. These programs are structured so that students can enter and exit at multiple points through stackable credentials. Students can earn college credit for prior learning through PLA – prior learning assessment – and apply it to a short-term certificate then continue on to an associate degree and, ultimately, complete a baccalaureate degree at MDC. Another option is enrolling in one of our non-credit programs through The Idea Center and earn college credit in a related certificate or degree program. Graduates earned the top bar passage rate in Florida, with 87.5 percent passing the exam that allows them to practice law in the state. First among Florida’s 11 law schools on the July 2016 bar examination, FIU College of Law graduates exceeded the statewide average bar passage rate of 68.2 percent by almost 20 percentage points.